Lillian Dale Caswell, 80, widow of William “Bill” Caswell since 2004, entered into eternal rest on Friday Jan. 18, at Baptist Health Care. Lillian was a native of Jessamine County born Nov. 1, 1938, to the late Albert and Lillie Mae Lowery Reynolds. She was most proud of achieving her RN license and was employed at St. Joseph Hospital for many years until going out on her own to do private duty nursing. A fun loving and adventurous lady she loved doing yard work, going to Lake Cumberland for a pontoon ride which was always an all day event, and her family. She took so much pleasure in having her hot tub that she built an entire room to cover the tub. 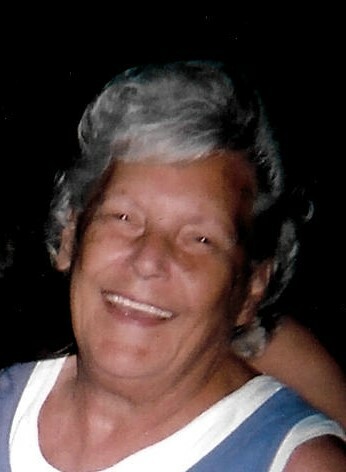 Her abundant happiness spread to time spent with family and friends. She will be fondly remembered by sons Mike O’Connor, wife Marsha and Robert McClure, fiancé Robin Holbrook, grandchildren Jason Keeling, Cody O’Connor, and Christina Mae, great grandchildren Kalvin Montgomery, Stephen Wall, Trenton, Isiah, and Savannah O’Connor, and Lucas Keeling as well as a sister Louise Robinson and many nieces and nephews. Lillian was preceded in death by a daughter Sharon Dale Wall and sister Aline McClure. A Remembrance Service will be 1:00 PM Tuesday, at Hager & Cundiff Funeral Home. Entombment will follow at Bluegrass Memorial Gardens. Honoring her as pallbearers will be James Gabbard, Jason Keeling, Stephen Wall, Stevie Branscom, Cody O’Connor, and Nicholas. Her family will greet friends beginning at 4:00 PM and ending at 8:00 PM at the funeral home on Monday, Jan. 21. The family suggest donations be made in her memory to Breast Cancer Awareness/Susan B. Komen https://ww5.komen.org/Donate/Donate.html. “What the heart has once known it will never forget”. Hager & Cundiff Funeral Home is honored to be chosen to care for Lillian and her family.